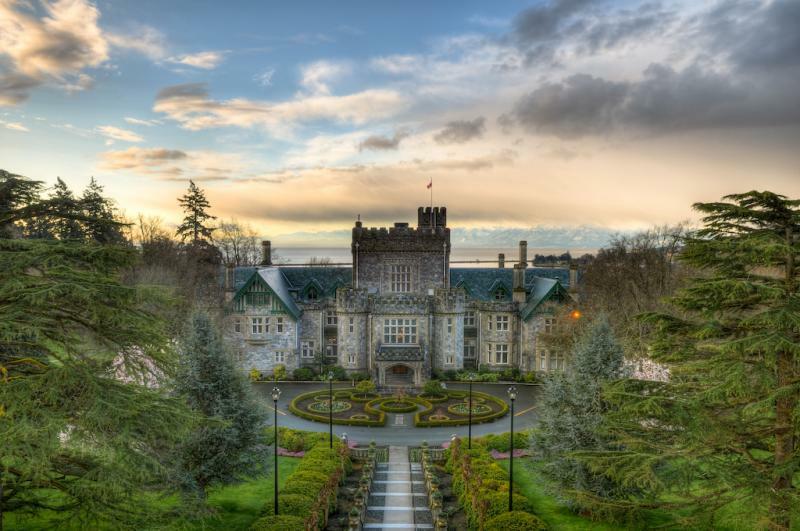 Royal Roads University is located on Hatley Park National Historic Site in Victoria, British Columbia. 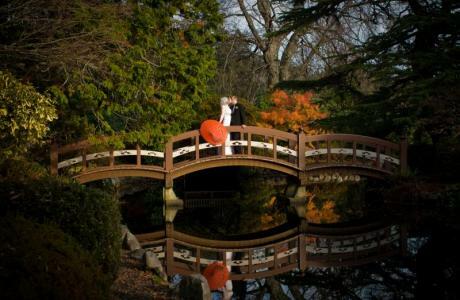 This location is an ideal Victoria conference Centre for a corporate meeting or a Victoria wedding venue for the reception on your special day. The iconic Hatley Castle is the centrepiece of the estate overlooking the breathtaking Pacific Ocean. 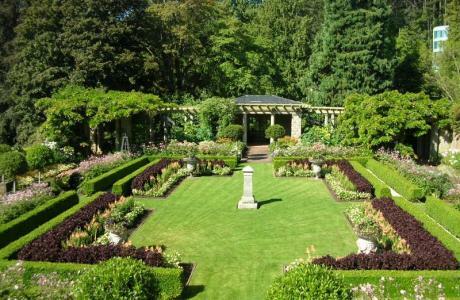 The 565-acres is surrounded by old growth forest and prestine gardens making this one of the most unique venues in western Canada. 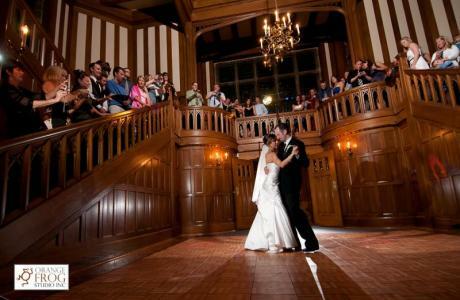 Our location is the perfect setting for special events, weddings, banquets, and conferences. In-house audio visual equipment. All rooms connected to internet. Teleconferencing & ISDN lines available. Exclusive catering provided by Truffles Catering. 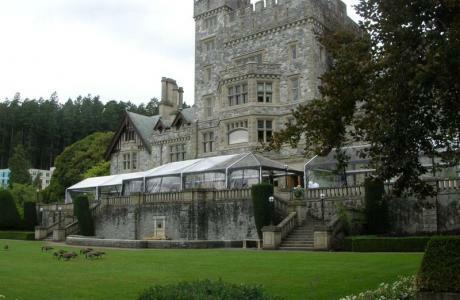 Hatley Castle	 An Edwardian castle built in 1908 as a retirement home to James Dunsmuir and his family. With a Ballroom, Lounge, and Dining Room there is adequate room to accommodate 100 guests seated or 200 guests reception style indoors. Italian Garden	 The Italian Garden surrounds Hatley Castle and provides the perfect setting for a reception or garden wedding for up to 80 guests. Croquet Garden	 The Croquet Garden is a sunken garden with a breathtaking backdrop of Hatley Castle and is suitable for groups up to 300 guests. Hatley Castle Drawing Room	 The lavish Drawing Room is the centrepiece for the Hatley Castle dining experience seating a maximum of 100 guests. The adjoining Terrace provides an outdoor experience and creates a suitable tenting option to accommodate larger groups. Centre for Dialogue	 This high tech conference room sits on the top floor of the Learning and Innovation Centre building with breathtaking views across the Juan de Fuca Strait to the Olympic Mountains. 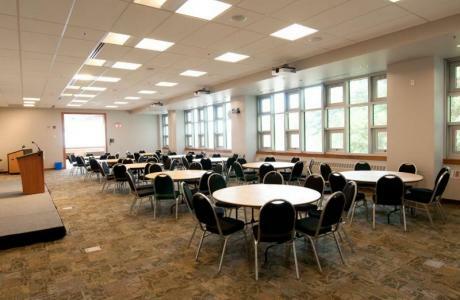 Suitable for groups up to 100 guests with a adjoining reception area for catering needs. 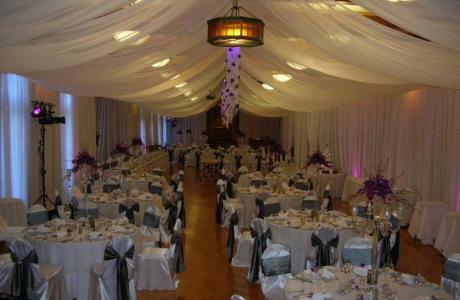 Quarterdeck Ballroom	 Reception style ballroom suitable for weddings, receptions, and conferences. 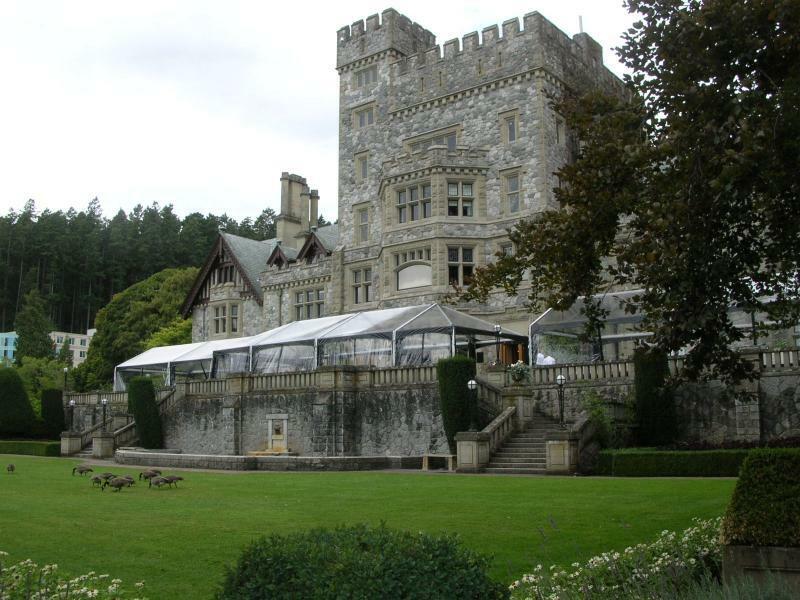 Royal Roads University is pleased to have Truffles Catering as our exclusive caterer. Truffles Catering is Victoria’s leading professional caterer for corporate events, weddings, office functions, social occasions and celebrations. All venues can be catered by our exclusive caterer Truffles Catering. Parking	 On campus parking available $1/hr or $8/day. Security	 Campus is monitiored 24-hr to provide our guests with a sense of safety. 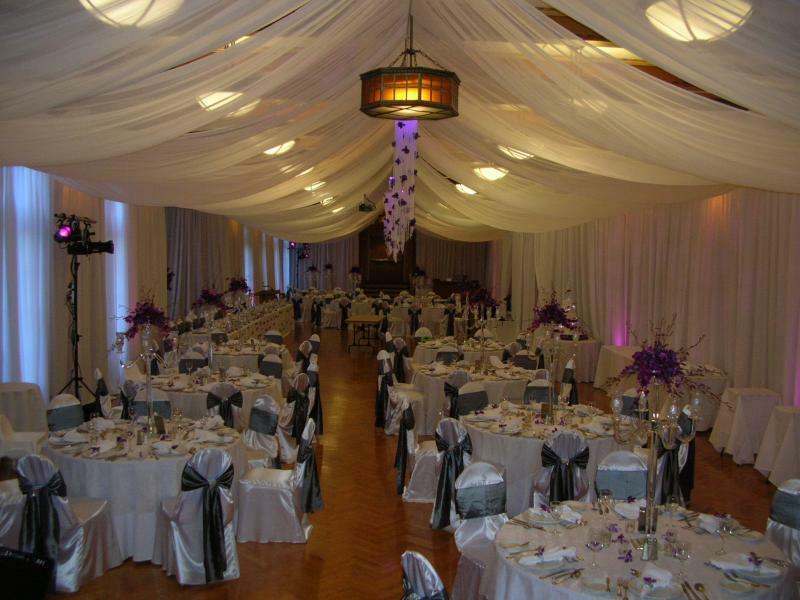 Full Event Management	 Our team of professional event planners will support you through the logisitcal planning stages to ensure your wedding, conference or meeting are seamless and your guests remember Hatley Castle for years to come. Audio Visual Services and Equipment We offer a range of in-house audio visual services and equipment to support your event. Please speak with your event professional to discuss rental prices. Wi-Fi Complimentary for all guests on campus. Olympic View Golf Course	 An 18-hole golf course only 10 minutes down the road. Bear Mountain Golf Resort	 Vancouver Island's only 36 holes of Nicklaus Design golf! Choose between the rugged, challenging Mountain Course or the more serene Valley Course. Only 15 minutes from our location. 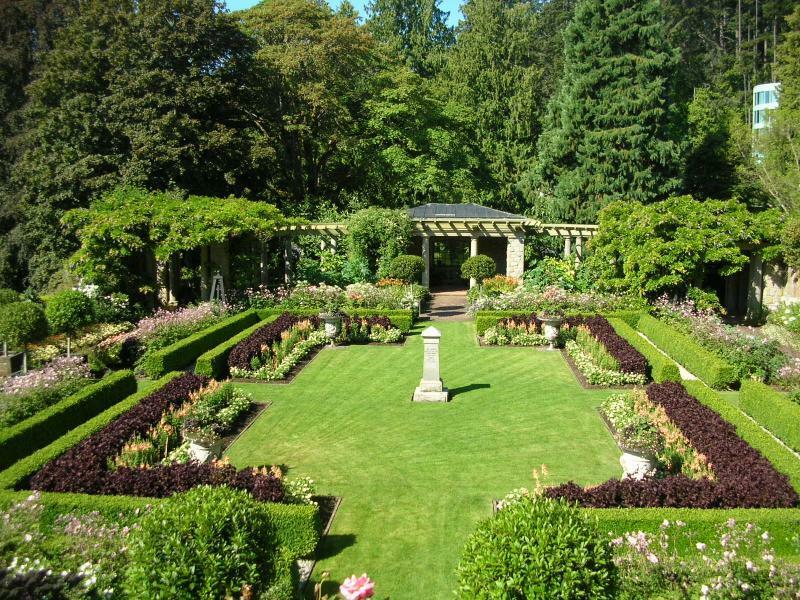 Butchart Gardens	 Over a century ago, Jennie Butchart began building what is now one of the world’s premier floral show gardens and one of Victoria's top attractions. Open year round. I couldnt be any happier with how the day went! It was defiently my dream wedding!! Everyone, including yourself, Liz, Jeff and all of the Truffles staff were just wonderful and so on the ball with everything! All of the comments I have recieved from my guests say that the venue couldnt have been more beautiful and fun!!! 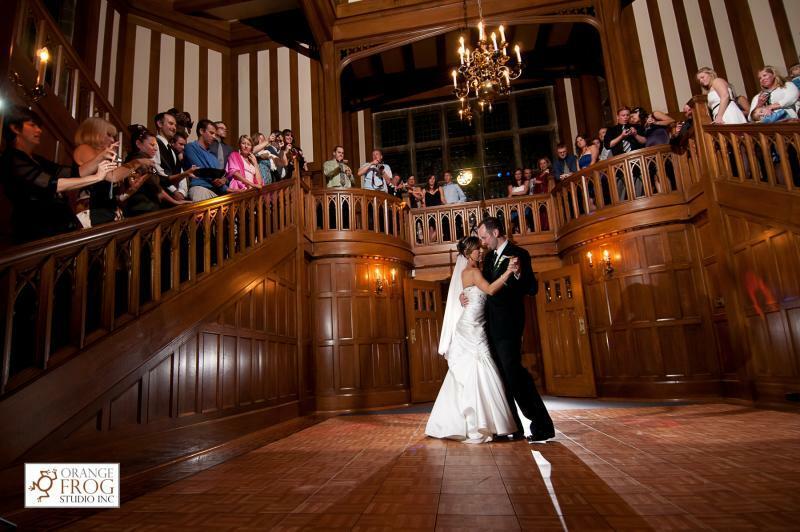 Hatley Castle, as a venue, is beyond imagining. 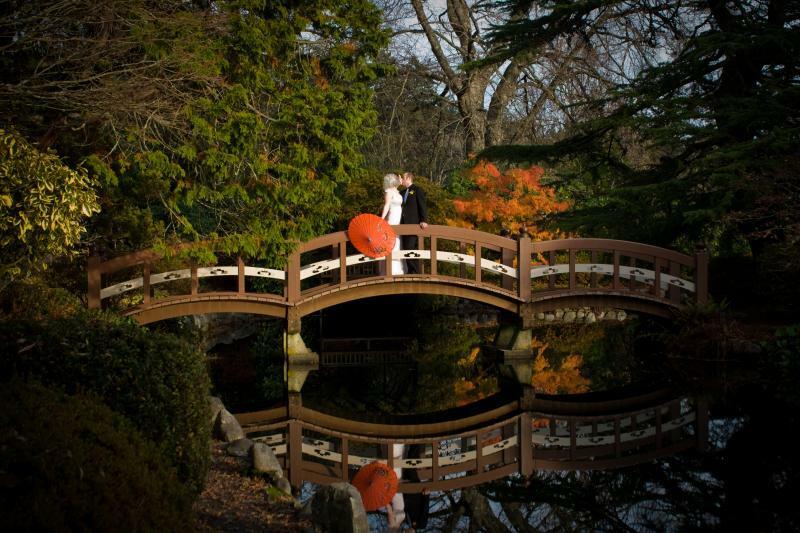 The spaces, interior and exterior just exude luxury - and isn't that what you want a wedding day to feel like? The beauty of the gardens - stellar. The catering, support, planning and overall event at Hatley was outstanding! The support was awesome and helped make everything run perfectly. The beautiful backdrop overlooking the water and mountains was really amazing and the group was appreciative to have the opportunity to tour the castle. Please pass along my thanks and praise to everyone at Truffles and everyone at Hatley that helped us wow our guests! I just wanted to send you a big thank you for all the help that we received from you. I know our day went flawlessly due to all the helping hands from our family, friends & wonderful vendors like yourself who listen & truly want to reach the same goal! On behalf of my wife and I, I’d like to thank the staff at RRU for an amazing and extremely pleasant service your team provided for our special day. I can honestly say my experience dealing with my Event Coordinator was absolutely seamless throughout the wedding preparation & planning to the actual day of the wedding. Thank you again for helping us make our wedding a day to remember! I’ll be sure to refer you to our other friends who will be getting married in the years to come. We had a wonderful time, you and your staff were amazing, we felt like royalty. I can't thank you enough for making our special day absolutely amazing.